b. 22 Oct. 1732, 4th s. of William, 3rd Duke of Devonshire, and bro. of Lords George and Frederick Cavendish. educ. Hackney; Peterhouse, Camb. 1750. unm. Ld. of Treasury July 1765-July 1766; P.C. 27 Mar. 1782; chancellor of the Exchequer Mar.-July 1782 and Apr.-Dec. 1783. He had read a good deal, and his eyes saw not faster than his memory retained ... nor was he defective in quickness or reasoning. Under the appearance of virgin modesty he had a confidence in himself that nothing could equal and a thirst of dominion still more extraordinary ... To be first in however small a circle was his wish ... He was a kind of heresiarch that sought to be adored by his enthusiastic disciples without a view of extending his sect beyond that circle. In 1754 he was provided with a seat by Administration at Weymouth and Melcombe Regis, and in 1761 was returned on the family interest at Knaresborough. His rise to political importance began after Devonshire’s dismissal in October 1762, but he did not become a first-rate political figure until after Devonshire’s death. He spoke in the debate on the peace preliminaries, 10 Dec. 1762, only to move an amendment to the Address which passed unopposed; and like his brothers voted against the peace. 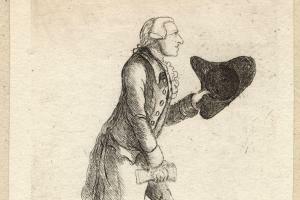 He was one of the group of young men who pressed for an active Opposition in the winter of 1762-3, and began to make his reputation as a speaker. On the Regency bill he moved an Address for the King to name the Regent, 7 May 1765, and was foremost in opposing Morton’s motion to include the Princess Dowager among those capable of the Regency—‘this damnable design’, as the Cavendish brothers described it in a letter to Newcastle.5 (‘Lord John ... was inflexible to Bute’, wrote Walpole.6) With his brothers and Robert Boyle Walsingham he attended the meeting at Claremont on 30 June 1765, and advocated taking office without Pitt. My reason for what I have done [he wrote to Newcastle on 26 July 1766] is that as I have always thought Mr. Pitt’s style too high for my temper and I have been a long time tired of the confinement of my employment, it appeared to me I could not have a better opportunity of getting out than in company with those with whom I have been so long intimately connected, both in public and private life. He once told Walpole that ‘he wished the Opposition was reduced to six or seven who could depend on one another’;10 and said in the House on 2 Apr. 1770 that he ‘wished all cursed distinctions of party to be done away’.11 His conception of party was based on friendship and connexion rather than principle. having so lately got out of one scrape, but I said I would go to Chatsworth, consult my brothers, and ... if he [Rockingham] found York in the state he expected I would then go and offer myself, but would not engage in a second contest. He was returned unopposed on the corporation, or old Tory, interest. Did not France ... at once see that those able counsellors whose advice had led to those successes were consulted and listened to no longer; that the system by which this country had been governed for the last fifty years was at once overturned; that no attention was paid to personal friendship; and that public virtue was disregarded. In short, all would have gone well had Newcastle and Devonshire been retained in office—which agreed with what Rockingham thought. North, in March 1782, described Lord John as ‘more in the confidence of Lord Rockingham than any other person’,20 which may well have been true then; though it is probable that until 1775 the more energetic Dowdeswell had the greatest influence with Rockingham. Lord John tended to be lukewarm in action, and became increasingly discouraged at the impotence of opposition—‘I think our situation so unpleasant’, he wrote to Rockingham on 26 Jan. 1779,21‘that I should be glad to get out of it at any rate.’ Still, Rockingham at all times greatly trusted him, and never failed to consult him. Let gentlemen consider that this is not the case of a little borough but of a large county put out of temper. If indeed he had been found incapable of being elected I should have been glad of it, for there are many very inconvenient circumstances in this man’s situation. And on 8 May:23 ‘I am sorry we have got into so unbecoming a contest with so unworthy an antagonist.’ Neither then, nor in the printers’ case of 1771, did he stress the constitutional issues: his concern was primarily for the dignity of Parliament. I do not love to hear it said we must maintain national dignity when the measures proposed to maintain it are at the expense of national justice. This Act punishes the innocent and wealthy, the rabble remain as they were. He should ever think there was a very material difference between stating and declaring a right presumed to be vested in Parliament, as the sovereign or supreme power, and employing methods of force and coercion in maintenance of that right. Besides, it was not fair to conclude that the declaratory law, which asserted a general, undefined right, namely ‘to bind the colonies in all cases whatsoever’, pointed to the exertion of a particular mode of exercising it, namely a right to tax, which claim had been renounced in the very same session by a repeal of the Stamp Act. Such, however, had not been his opinion in 1766, when Pitt, almost alone in the House of Commons, had maintained that the British Parliament had no right to raise a revenue in America. ‘I do not love general sweeping remedies’, Lord John told the Commons on 12 Feb. 1770.29 At the York meeting of 28 Mar. 1780 he refused to sign the plan of Association, and objected to the demands for increased county representation and shorter Parliaments ‘as tending ... to lessen the probability of success to the petition’.30 In the Commons on 8 May 1780 he ‘spoke against the principle of shortening the duration of Parliaments’,31 yet voted for it ‘out of respect to the people’.32 At the general election of 1780 there was a possibility that he would be opposed at York by a candidate more sympathetic to the Association’s programme, and at one time he seemed inclined to retire. He wrote to Rockingham on 5 Sept.:33 ‘It is not the doubt of success nor the expense inclines me to have done so much as the disagreeableness here and hereafter. 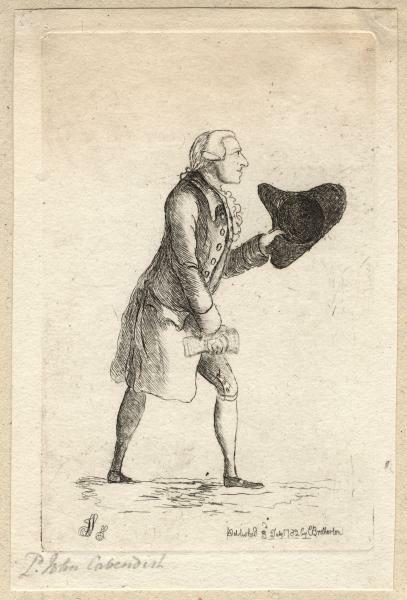 The House of Commons is no place for gentlemen of common sense.’ During the second Rockingham Administration he opposed the plan for a committee on parliamentary reform,34 yet voted for Pitt’s scheme on 7 May 1783. In short, he trimmed a good deal, but his friends had no doubt of his real opinions. He retired from the world exceedingly irritated at the triumph of his enemies, which was carried pretty high against him personally; and somewhat disgusted with the coldness of his friends, who at that time showed little energy of mind and considered his retreat with too much indifference. All men of sense must I think feel obliged to you for showing in so forcible a manner that confusion is not the road to reformation. Though some of our allies have now and then run wild, our original set have always contended for that temperate resistance to the abuse of power as should not endanger the public peace or put all good order into hazard. Lord John Cavendish died 18 Nov. 1796. 1. Mems. Geo. III, ii. 17-18. 2. Walpole to Mann, 4 June 1780. 4. Corresp. (1844), iv. 526-7. 5. Add. 32966, f. 355. 6. Mems. Geo. III, ii. 232. 8. Mems. Geo. III, ii. 250. 9. Add. 32976, f. 269. 10. Mems. Geo. III, ii. 92. 11. Wm. Burke to Wm. Dennis, 6 Apr. 1770, Burke, Corresp. (1959), ii. 127. 12. Brooke, Chatham Administration, 55, 82. 13. Grenville Diary, 25 Nov. 1766, Grenville, Pprs, iii. 389. 14. Add. 32985, ff. 45-51. 15. Portland to Newcastle, 20 Oct. 1767, Add. 32986, ff. 58-60. 17. Wm. Mason to Chris. Alderson, 15 Mar. 1768, mss of Mr. C. J. Wilson of Godalming, Surr. 18. Add. 32989, ff. 191-2. 19. Cavendish’s Debates, i. 301. 20. North to the King, 8 Mar. 1782, Fortescue, v. 381. 22. Cavendish’s Debates, i. 156. 26. Walpole, Last Jnls. ii. 129. 29. Cavendish’s Debates, i. 457. 30. Wyvill, Political Pprs, i. 160. 32. Savile to John Hewett, 9 May 1780, HMC Foljambe, 153. 34. Richmond to Rockingham, 11 May 1782, Rockingham Mems. ii. 481. 39. Fox to Northington, 17 July 1783, Corresp. C. J. Fox, ii. 116. 40. Fitzwilliam to Portland, 16 Nov. 1783, Portland mss. 41. Dowager Lady Spencer to Ld. Spencer, 23 Dec. 1783, Spencer mss. 42. Burke to Wm. Windham, 23 Dec. 1796. 44. Life and Letters Sir G. Elliot, i. 260.